Boone Farm Mutual was started over 100 years ago, eventually spawning Boone Mutual Agency in 1958. Boone Farm Mutual was later sold to Western Reserve Group and the agency continued operating under the same name. The agency was acquired in 1988 by Jim Craig and was then sold to Jim Hundley in 2005. 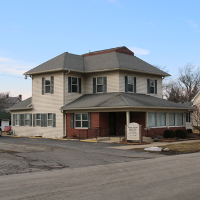 It was then purchased by Benjamin Schoettmer and Kyle Clouser of Hughes Insurance Group in Febraury 2016 and retained the name Boone Mutual Agency. Jim Hundley remains an active part of the company.